If set to $true then DeliverToMailboxAndForward parameter of the Set-Mailxbox cmdlet will deliver mail to both the forwarding address and the original recipient. However, if it is set to $false, it will deliver mail only to the forwarding address. Fill in the form below and the correct PowerShell code will be created for you. Then choose if you would like the mail delivered only to the forwarding address, or to the forwarding address and the original mailbox. If you want to disable the forward in the future simply enter $null as the address that you would like to forward to and the forwarding will be cancelled. This message could not be sent. 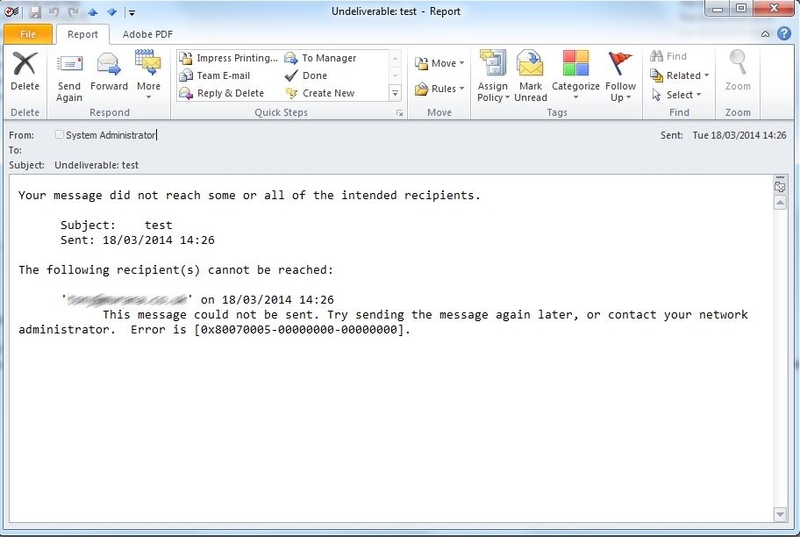 Try sending the message again later, or contact your network administrator. Error is [0x80070005-00000000-00000000]. Quite a few people have reported that creating a new Outlook profile solves the problem but this did not work for me. I believe the cause of the issue in those instances is related to the auto-complete cache in Outlook. 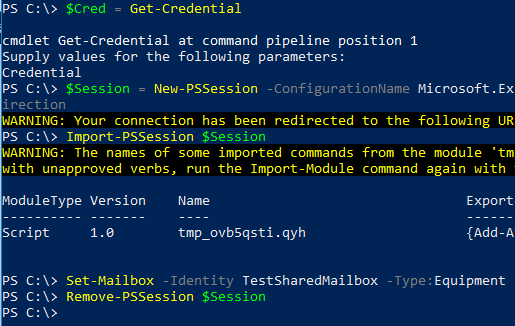 Even though I had already added the correct send-as permissions within the Office 365 web based administration system I decided to try adding them again within Powershell to see if this gave any different results. After adding the permissions with Powershell I was able to send-as no problem at all and the error 80070005 ceased. Granting “Send As” permissions on Office 365 permits a user to send mail from using an email address assigned to another user or other mail enabled object, such as a distribution group. Add-RecipientPermission "Sales Group" -AccessRights SendAs -Trustee "Paulie"
Fill the form below and the required Powershell will be generated for you. Fill the “Identity” field to with the target object that you want to to send as. Can be any value that uniquely identifies the object such as Alias, email address etc. Copy the automatically generated code into a Powershell window and the change will be made. It’s easy to change the mailbox type in Office 365 with Powershell. Select the mailbox type that you want to convert it to. Copy and paste the generated code to a PowerShell window. Remember to set your PowerShell execution policy, otherwise the script will not run. 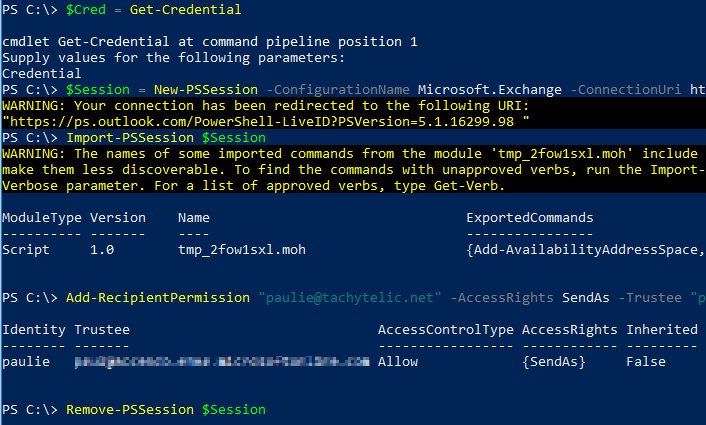 Set the PowerShell execution policy to at least RemoteSigned. If you are converting to a “Regular” mailbox, ensure that you assign a license after you have run the conversion. If you found this post helpful, I would really appreciate it if you rated it. Copy the generated code into a PowerShell window. You will be prompted for your Office 365 Credentials. The contact will be changed.